The Barloworld Corporate Office relocated to 61 Katherine Street, Sandton in November 2018. Disposal of Equipment Iberia generates R 2.5 billion in cash. The Board approved a proposed B-BBEEE transaction known as "Khula Sizwe". Former CEO of Equipment Southern Africa, Dominic Sewela takes over from Clive Thomson as chief executive (CE) of Barloworld. 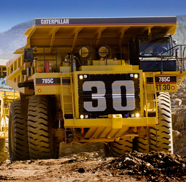 Barloworld and Caterpillar celebrate 90 years of partnership. In recognition of this milestone, a new advanced R1.3billion distribution facility was launched in Ekurhuleni, South Africa. Disposal of Barloworld Handling and Agriculture in South Africa into a joint venture with BayWA AG. Opening of the VT facility in Magadan in the Russian Far East which represents a US$10m investment. Barloworld Logistics made a 100% acquisition of temperature controlled solutions business KLL and a 51% stake in Aspen Logistics. Barloworld Logistics entered into an unincorporated Joint Venture with The Barberry Group which will lead to a 51% acquisition of the company. Barloworld Logistics acquired 100% of SmartMatta. Barloworld Transport dispose of the Barloworld Cranes business. In March 2016, Barloworld Automotive added two additional Mercedes-Benz dealerships, namely Union Motors Lowveld and Union Motors South Coast within our NMI-DSM joint venture. Barloworld Automotive acquires a majority share in SMD in May 2016. 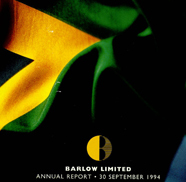 Barloworld celebrates 75 years of being listed on the JSE in August 2016. Automotive and Logistics division acquires a majority stake in Avis Coach Charter, and Dreamworks (a fuel management company); and secured the entry of Avis Fleet Services into Ghana. Barloworld Equipment and Tractafric Equipment agreed to extend the original 10 year 50:50 joint venture in Katanga Province, Democratic Republic of the Congo, by another 50 years. 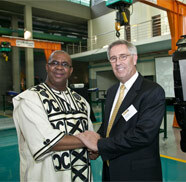 Barloworld was awarded the MWM gas engine distribution rights in southern Africa and Russia. Barloworld acquired the remaining 50% shareholding in Phakisaworld Fleet Solutions. Barloworld Logistics acquired specialised chemical transporter, Ecosse Tankers. Handling US was sold for about US$60 million at the end of April. Opening of Barloworld Reman Centre for CAT engine and drive train rebuilds in Boksburg, and 85th anniversary of the partnership between Caterpillar and Barloworld Equipment. Barloworld concluded a joint venture agreement with Electro-Motive Diesel, Inc.(EMD), a subsidiary of Caterpillar-owned Progress Rail Services Corp.
UK handling business sold for R626 million, effective from 28 September. An agreement was signed whereby the Bucyrus distribution and support business in Barloworld Russian territories was acquired for US$50 million (R436 million). A R1.6 billion contract for the supply and commissioning of Cat equipment at the Husab Mine was signed between Barloworld Namibia and Swakop Uranium. Barloworld Power appointed distributor of Australian Lighting tower and water pump company AllightSykes. 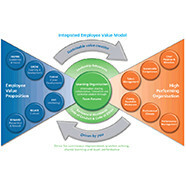 The Integrated Employee Value Model and the Integrated Financial Value Model were launched in 2013. The remaining 49% shareholding in Toyota Stellenbosch was acquired during 2013, and the dealership is now 100% owned. Avis Fleet Services acquired the remaining shares in its subsidiary in Lesotho. 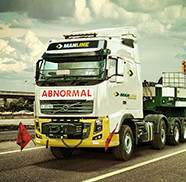 A merger between Barloworld Logistics’ Dedicated Transport Services division (DTS) and the Manline group, a diversified logistics business specialising in transport and other logistics solutions throughout southern Africa became effective on 30 January 2013.The merged business, called Barloworld Transport Solutions (BWTS), became a subsidiary of Barloworld Logistics, which had a 50.1% shareholding. It included the Manline, Manline Energy (fuel tankers) and Timber24 (timber logistics and forestry solutions) brands, which would be retained within the BWTS group of companies. The Handling Belgium business was sold on 8 May 2013, generating €7.5 million in cash proceeds. Barloworld Logistics acquired a controlling stake in a business transporting abnormal loads, since re-named Manline Mega, in June. The Ferntree Gully motor dealership in Melbourne was sold effective from 31 October 2013. 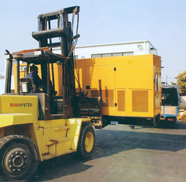 Barloworld celebrated 20 years as a Caterpillar dealer in Zambia, Angola, Mozambique, and Malawi; and 50 years as such in Botswana. 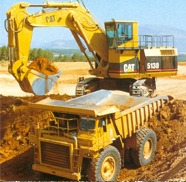 Barloworld Equipment celebrates its 20th year as the Cat earthmoving and power systems dealer for Zambia. Motor Retail acquired a majority stake in 51% of the Jaguar Land Rover dealership in Witbank, one of the leading Jaguar Land Rover dealerships in South Africa. 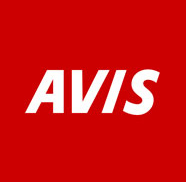 Avis Fleet Services entered into agreements to acquire a leasing business in Tanzania. Barloworld Logistics acquired a majority share in Kumkani, an extra-heavy abnormal load transport business. 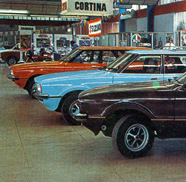 The remaining Australian motor retail operations were sold effective from 31 March 2014. The sale of the entire operations realised R1.3 billion. Motor Retail acquired Leach Toyota and Hino in Kuruman. Barloworld opened a US$14 million facility in Zambia to meet the servicing needs of Caterpillar customers. Barloworld Handling acquired the AGCO agricultural equipment dealership in Zambia as part of its Africa growth strategy. Barloworld Motor Retail acquired GM Ferndale in Cape Town. Barloworld Logistics acquired 100% of the re- environmental solutions business which was renamed SmartMatta. The Avis Budget Group (ABG) granted Barloworld the licence to operate the Budget Brand in southern Africa from 1 March 2015 in addition to the Avis Car Rental brand. Vision 2020 was launched at the 2015 Global Leaders Conference in March 2015 which sets the growth objectives for the next five years. Sustainability as a core value was also added to the Barloworld Worldwide Code of Conduct. Barloworld launches a new Barloworld Logistics division. Our value-based management approach continues to drive our strategies and we exceed our real cost of capital target of 8% cash-flow returns on investment (CFROI®). We also improve our customer relationships by formalising Smart Partnerships™. Our combination of financial strength, skills, products and services creates a value-adding package for our customers that our competitors struggle to match. 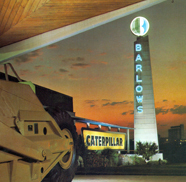 Barloworld celebrates 100 years of success and a 75-year partnership with Caterpillar. We set our medium-term goal of 2*4*4, which aims to double the value of our company for Barloworld stakeholders in four years. Disposals include PPC’s stakes in Natal Portland Cement and Ash Resources, our UK Coatings business, the Robor Stewarts & Lloyds steel distribution outlets, our half share of steel trading company Stemcor (South Africa) and our Mitsubishi motor dealerships in Australia. Our relationship with Caterpillar celebrates it's 75th anniversary. Barloworld acquires the north-west Arkansas and Texarkana Freightliner truck dealerships in the USA. We dispose of six motor dealerships and exit the paper business by selling Henry Cooke in the United Kingdom. Barloworld also forms important Black Economic Empowerment (BEE) deals. We establish a 50:50 joint venture to distribute DaimlerChrysler products in Durban, and sell Afripack – PPC’s paper sack manufacturing business – to a BEE investment consortium and the Afripack management. These high-profile BEE equity deals join our established BEE structures, which include Shosholoza Steel Supplies Pty Limited and Sizwe Paints – a 70% BEE 30% Barloworld-owned architectural paint manufacturer. 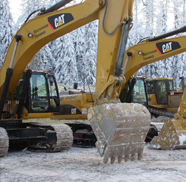 In partnership with Wagner, we also double our Caterpillar dealership territory in Siberia to 9.9 million square kilometres – an area larger than the USA. We acquire all of the remaining Avis shares in Southern Africa, the International Colourant Corporation (ICC) and the Hyster dealership in the Netherlands. Barloworld establishes a formal Black Economic Empowerment (BEE) policy. Barloworld acquires the Hyster dealership in Northern Ireland and the Hamilton Brush and Budget franchise in Sweden. PPC announces their plan to increase cement capacity to one million tons, to meet the rapidly growing demand in South Africa. Barloworld acquires the Avis and Budget franchises in Denmark to consolidate our Scandinavian group of countries. After a strategic reviewing process, we sell the Steel Tube division, as well as the USA and United Kingdom Handling leasing finance books. We achieve our 2*4*4 target and double the value of our business for Barloworld stakeholders. We announce a new target – to double the value again by the year 2010. Former finance director Clive Thomson takes over from Tony Phillips as the chief executive officer (CEO) of Barloworld. PPC and Coatings are unbundled and Coatings is listed on the Johannesburg Stock Exchange (JSE) as Freeworld Coatings Limited. Team Barloworld achieved a wild-card entry to the Tour de France. Ours was the first South African team in history to be admitted to the Tour de France, and it instilled an enormous sense of pride in the South African public to see South African cyclists and a South African sponsored team participating. Barloworld announces its Broad-Based Black Economic Empowerment (B-BBEE) transaction, which includes all South African employees, a number of community service groups, an educational trust and strategic black partners. The transaction achieves a 29% empowerment in our Southern Africa operations. We also launch the Leadership Development Centre (LDC) in Barlow Park, Sandton. The LDC facilitates and co-ordinates professional development programmes that enhance the skills of our employees. 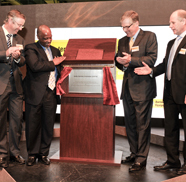 Jim Owens, chairman and chief executive officer (CEO) of Caterpillar Inc; and Membathisi Mdladlana, Minister of Labour in South Africa, open the Centre of Technical Learning on Barloworld Equipment’s Isando campus. The centre provides our stakeholders with sustainable technical skills development, in line with our value-based management approach. 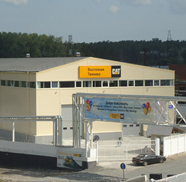 Barloworld reached agreement to acquire Wagner Equipment’s 50% shareholding in our Russian Caterpillar equipment joint venture, known as Vostochnaya Technica (VT). Barloworld disposes of its Scandinavian car rental operations. 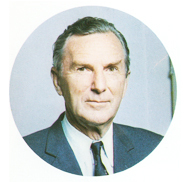 Barlow Rand plays a major role during South Africa’s political transition. Its large size helps to bring different political parties together, assist in the management of the 1994 elections and move with the country towards a peaceful democracy. 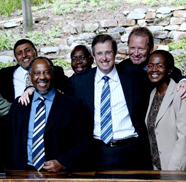 After the 1994 democratic elections, with South Africa once again accepted on the international stage, The company’s strategy evolves to include a stronger focus on growing core businesses across the globe. 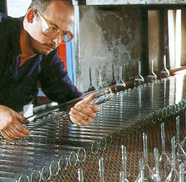 Barlow Rand unbundles non-core businesses between 1993 and 1994. The more focused and streamlined Barlow Limited is born. Barlow Limited is granted Caterpillar dealership franchises in Zambia, Malawi, Mozambique and Angola, giving it cover over the whole Southern Africa region. Barlow acquires Lanes Limited and Taubmans in Australia, distributes Perkins engines in Southern Africa and supplies Caterpillar equipment in Siberia. 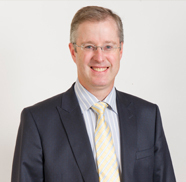 Tony Phillips is appointed as the chief executive officer (CEO) of Barlow Limited. The company adopts a value-based management (VBM) framework, which is aimed at driving strategic decision-making and shareholder value, with cash-flow returns on investment (CFROI®) as a financial metric. VBM demands firm action on businesses that do not create sustainable value or cannot be expanded to increase their contribution. As a result, Barlow removes non-core and underperforming business segments. These include withdrawing holdings in Federated Timbers and selling a portion of the company’s shares in Comparex. Barlow continues to expand its operational footprint and the international brands it represents by purchasing the Ditch Witch franchise in Georgia. 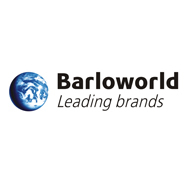 Barlow Limited changes to Barloworld, with a renewed focus on core strengths and increased global reach. We introduce a modern and uniform corporate identity and a global rebranding initiative. 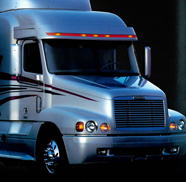 Barloworld also purchases Barton Freightliner USA and 26.3% of Avis South Africa. This is part of our strategy to seek new product ranges in areas where we already operate. The remainder of our Comparex shares are sold and 8% of the issued share capital is repurchased in a share buyback scheme. Barlows rapidly expands into many fields, including motor retail; steel and building materials; handling equipment; consumer electronics; and steel manufacturing and selling. In his Chairman’s Statement, Punch Barlow says: “It is our policy to continue to expand the group, and to seek further opportunities for investment in well-managed companies that have good growth and profit prospects. We believe diversification will maintain even trading results”. 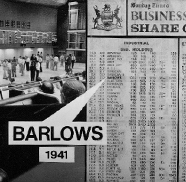 Barlows also acquires trading interests in the United Kingdom, Zimbabwe, Botswana and Namibia. 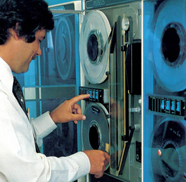 In 1969, it lists shares on the London Stock Exchange (LSE). Barlows acquires Rand Mines Limited and becomes Barlow Rand. By adding extensive mining and property interests, its reputation as a world-class company grows. The company also begins to produce cement, lime, stainless steel, televisions and paint. With interests in everything from food to mining, it becomes the dominant player in many sectors of the South African economy. 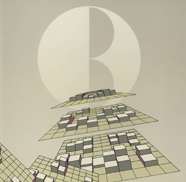 In 1978, Barlow Rand drafts a Code of Employment Practice. It is Punch Barlow’s strongest belief that the company should have an educated, motivated and loyal workforce in which each individual is recognised for his/her contribution. 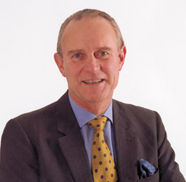 Punch Barlow dies and Mike Rosholt becomes the new chairman. 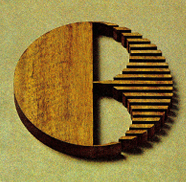 After acquiring Wrenn Brothers (later Wrenn Brungart), Barlow Rand expands into the USA. Barlow Rand expands to include information technology, electrical engineering and textiles. Its international reputation increases and it manages brands including IBM and Merck in South Africa. The company also lists its June shares on the Frankfurt Stock Exchange for the first time. Barlow Rand’s international footprint increases after acquiring J Bibby & Sons PLC in the United Kingdom. Bibby is involved in British agriculture, materials handling, science products and paper converting. Barlow Rand reaches profits of R1 billion, an employee count of 240 000 people, and 79th position on the Fortune 500 list of global companies. The company continues to expand its operations in Europe by acquiring Lamson in Belgium, Finanzauto in Spain and STET in Portugal. 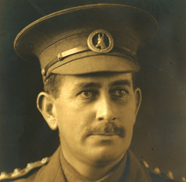 Major Ernest (Billy) Barlow borrows £1 000 to form Thomas Barlow & Sons in Durban, South Africa. Based on the family business in England with the same name, the company sells woollen goods, blankets and coats, but expands to include engineering supplies within five years. The company operates out of two small rented rooms overlooking Mercury Lane. 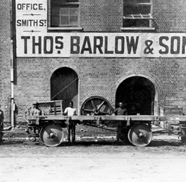 Billy Barlow opens an official Thomas Barlow & Sons branch in Johannesburg. He returns to the army at the start of World War I, but dies in 1921 after suffering wounds in the Battle of Delville Wood. His wife, Anne E Barlow, takes over as the company’s governing director. 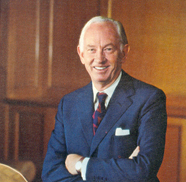 In 1927 Billy’s eldest son, Charles Sydney (Punch), joins the firm. He quickly establishes himself by selling the first Caterpillar tractor, after winning a bet with a sugarcane farmer that the machine could out-plough a span of oxen. After travelling to America and negotiating with the Caterpillar dealership, Punch makes ‘Barlows’ the official Caterpillar sales and service dealer in South Africa. Two years later, he secures the Hyster forklift dealership. Barlows trades shares on the Johannesburg Stock Exchange (JSE) for the first time. The opening price is seven shillings and sixpence per share.